Are potatoes off-limits for people with diabetes? Do fruits and veggies affect blood glucose? Is it safe to drink alcohol? We separate fact from fiction on some widely held myths about healthy food choices for people with diabetes. 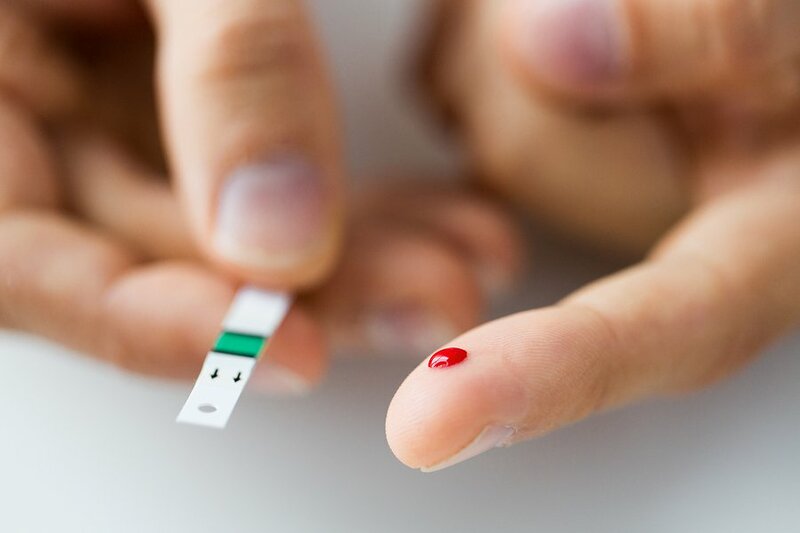 There are many misconceptions that people with diabetes must follow a strict diet when in reality they can eat anything a person without diabetes eats. People with diabetes can eat the same foods as the rest of their family. Current nutrition guidelines for diabetes are very flexible and offer many choices, allowing people with diabetes to fit in favorite or special-occasion foods. Everyone, whether they have diabetes or not, should eat a healthful diet that consists of fruits, vegetables, whole grains, lean protein foods, and heart-healthy fats. So, if you have diabetes, there's no need to cook separately for your family. Almost everyone has food cravings at some point, and people with diabetes are no exception. It's not uncommon for people with diabetes to cut out all sweets or even cut way back on food portions to lose weight. In turn, your body often responds to these drastic changes by creating cravings. Nine times out of ten, your food choices in these situations tend to be high in fat and/or sugar, too. The best way to deal with food cravings is to try to prevent them by following a healthy eating plan that lets you occasionally fit sweets into your diabetes meal plan. If a need does occur, let yourself have a small taste of whatever it is you want. By doing so, you can enjoy the flavor and avoid overeating later on. 3. People with diabetes shouldn't eat too many starchy foods, even if they contain fiber because starch raises your blood glucose and makes you gain weight. Starchy foods, such as bread, pasta, rice, and cereal, provide carbohydrate, the body's energy source. Fruit, milk, yogurt, and desserts contain carbohydrate as well. Everyone needs some carbohydrate in their diet, even people with diabetes. Weight gain occurs when you take in more calories than you burn off. So, if you overeat of any food, you'll end up gaining weight. The key is knowing how much of all the right food groups to eat to help keep blood glucose levels in a safe range and keep you at a healthy weight. Choose starchy foods that are whole grain and high in fiber for overall good nutrition. Fat, found in margarine, oils and salad dressings, has little immediate effect on blood glucose levels. However, eating a fatty meal can slow down digestion and make it harder for your insulin to work, causing a possible high blood glucose level hours after your meal. Some fats can raise blood cholesterol, increasing your risk for heart attack or stroke. These fats are called saturated fat and trans fat and should be limited as much as possible. Sources of saturated fat include butter, shortening, red meat, cheese and whole milk. Trans fat is found in some margarine, snack foods, and fast foods. Also, fat is very high in calories and should be limited if you're trying to lose weight. Click here to find healthy alternatives to your favorite foods.